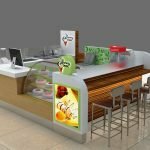 When you plan to opening a bubble tea kiosk in mall, The very first step is to have a bubble tea kiosk design. Some one will call bubble tea kiosk as Bobo tea . No matter what the name is , Bubble tea kiosk business in mall are very popular now. 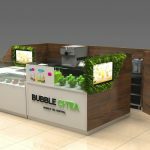 Today i will tell you a nice design bubble tea kiosk with remarkable low price. • Size : 4000*3000 mm, We can customize kiosk with your lease size. • Style : Modern, popular. • Packing : foam inside + wooden box outside Standard packing. Why choose Unique tea kiosk ? 1. 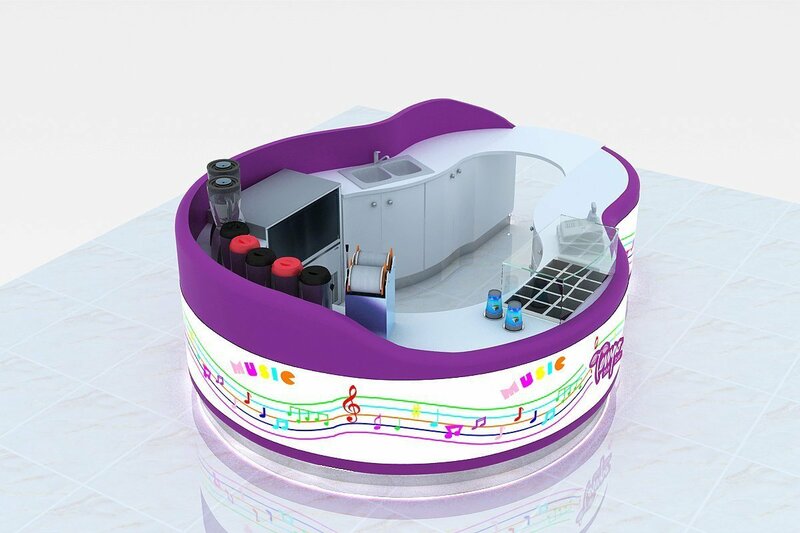 We provide design and production services for Bubble Tea Kiosk, (FSDU) Free Standing Display Units, Shop Merchandise display stands, Tea Shop design, Juice Shop counter design, Mall kiosk Design, Store design. 2. Our experience in Mall kiosk design enables us to work closely with you to ensure the Mall kiosk is designed specifically to meet your service and brand requirements. 3.Our team of product designers and 3-D design engineers will ensure that every facet of your requirements such as color, style, technological factors and specialist devices are included from the moment that conceptualization begins. By using this process, your interactive kiosk will be designed in a way which benefits you and your customers, giving you the perfect design solution and return on investments. How to order a bubble tea kiosk ? 1)If you are food shop, we will provide design. 2)We can put your LOGO or Brand on the Booth of tea kiosk / juice bar. 3)You can choose any color you like, we will make sample design of beverage bubble tea kiosk for you confirm. 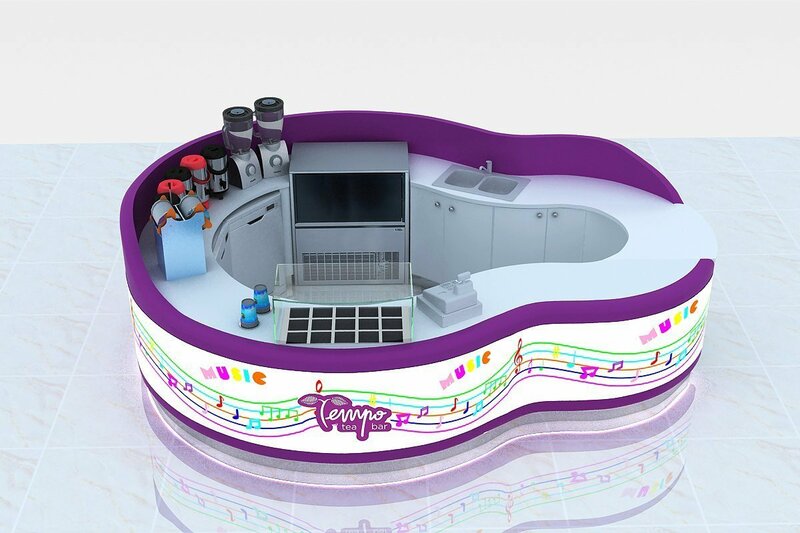 4)If you no ideal about the design of frozen yogurt kiosk ,our professional design team will give you good advice. 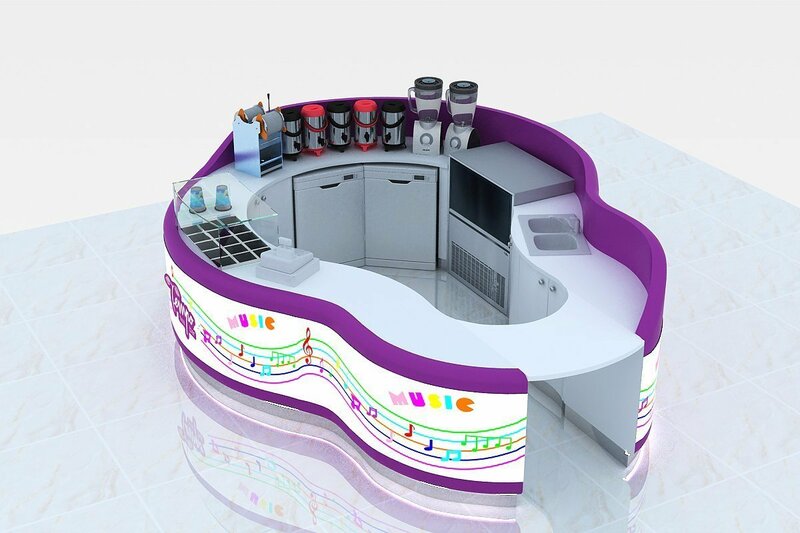 5)We can provide you 3 times to modify the design of juice tea kiosk . 6)You can decide which style you want, we can design the best suitable Bobo kiosk for you. as long as related equipment that we can all help procurement.We not only provide the kiosk, also provide a series of corresponding services.